This lovely little fairy rests her head in her hands, daydreaming away the hours. With her butterfly wings half open, she sits with her legs hanging down gazing into her fairy garden, lost in her own thoughts & imaginings. 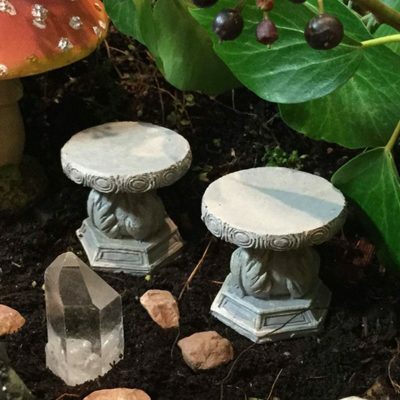 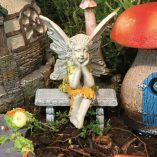 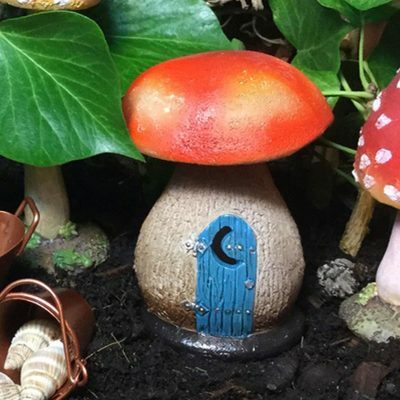 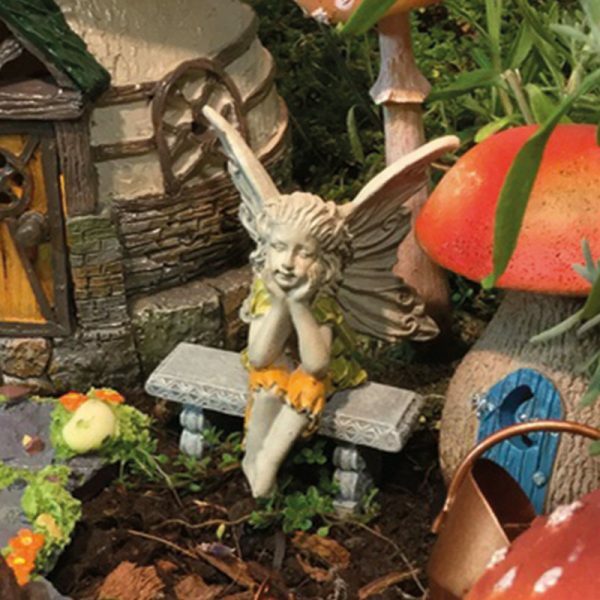 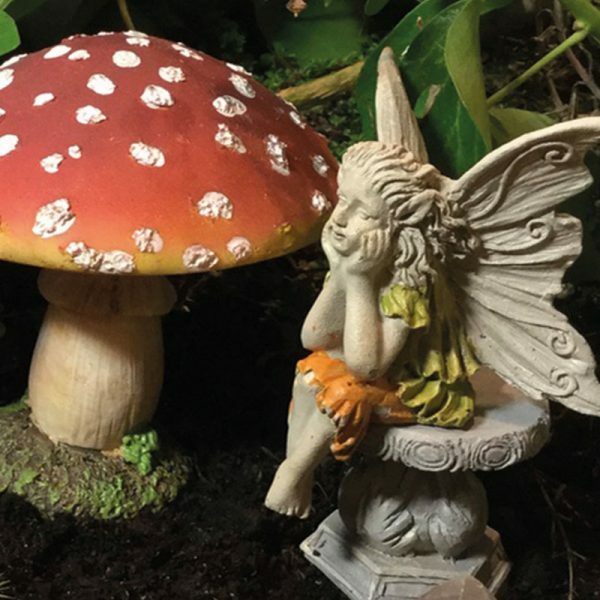 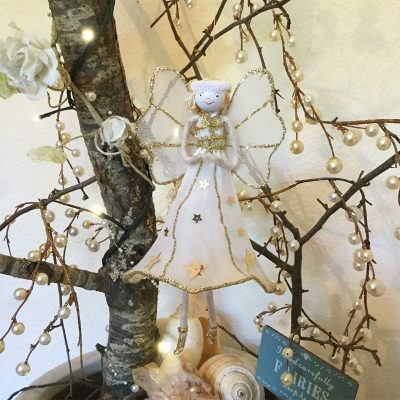 Create a magical fairy garden with hidden areas for relaxation & rest & seat this dreamy fairy on a ledged area amongst pretty flowering plants. 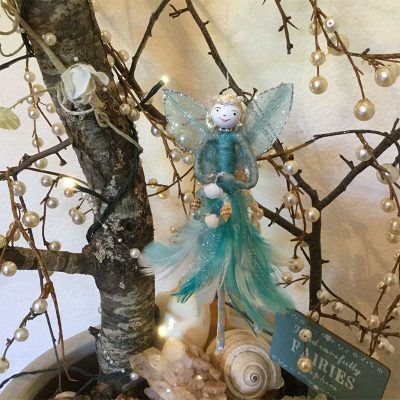 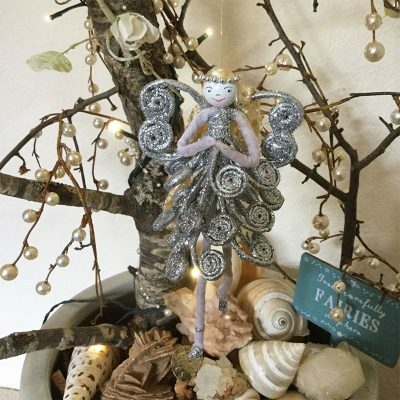 Decorate with crystals, shells & other fairy treasures. 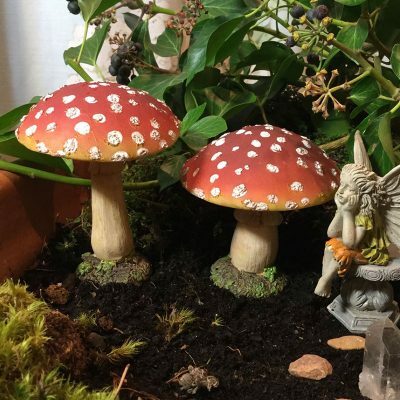 If your fairy garden is exposed to sunlight & extreme weather conditions your faery items will naturally fade & weather over time, allowing them to gradually age.